A balanced diet and an active lifestyle can help maintain healthy weight. 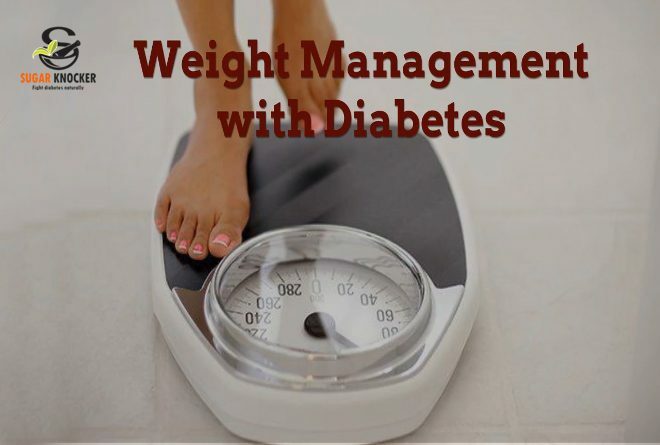 It’s a known fact that weight can affect diabetes and diabetes can affect weight. So if you are a diabetic, nutrition and physical activity are important constituents of a healthy lifestyle. It’s important to follow a healthy meal plan and most important of all to remain active. A good diet plan along with physical activity helps to keep blood glucose level in control. The key here is to maintain the blood glucose level for which one needs to balance on what to eat and drink, followed by physical activity and medication if one is taking any. The first challenge one faces when it comes to Diabetes is to choose a right diet plan. Hence what one chooses to eat and the quantity one eats are important in keeping blood glucose level in the range that your doctor or health consultant recommends. This needs to be followed by a physical activity regime. Don’t let it be sudden. Make small changes and follow it in a disciplined way. Take help from your family, friends and diabetes consultant if required. Eating well and on time is a must and physical activity is the main factor that helps you in not only controlling your blood glucose level but also blood pressure and cholesterol in your target ranges. Uncontrolled hyperglycemia- typical of undiagnosed type 1 diabetes can lead to weight loss. If your weight loss is unexpected and you are unable to gain weight consult an expert right away or practice some simple steps. If you are underweight and need to put on a little weight without creating extremely high blood sugar levels then your first step is making sure the issue isn’t due to high blood glucose levels to begin with. Firstly, don’t skip meals and if you are trying to gain weight by increasing your daily caloric intake then do not skip breakfast. Remember if you skip breakfast or any meal for that matter you could be missing out on an extra 400 to 500 calories per day. So, even if you are not a breakfast person, find some foods that you can eat for breakfast. Even a quick smoothie is a great idea if one is squeezed on time. Small meals and snacks between lunch and dinner is another way to help increase caloric intake and is beneficial if you are someone who gets full quickly. Ideally breakfast should be around 8:00 a.m., plan a snack at 10:00 a.m., lunch at 12:00 p.m., followed by snack at 3:00 p.m., and dinner later. Consult a dietitian or certified diabetes educator to determine how many carbohydrates to have per snack. There are many snacks that contain 15 grams or fewer of carbohydrates, but also provide extra calories. Healthy monounsaturated and polyunsaturated fats (olive, olive oil, coconut oil, avocado, nuts, almonds, walnuts, sunflower seeds, pumpkin seeds, nut butters, almond, cashew, peanut) is good for your heart health. These fats are also high in calories and will help with weight gain. There are numerous ways to incorporate these foods in your daily diet. Make sure that you are eating from a variety of food groups for good nutrition and to keep up your calories. For instance, if you are having a dairy product make sure you add a plant food along. A mix of protein, fat, and carbohydrates is a must. If you still experience difficulty gaining weight, despite good efforts you can always talk to your medical consultant if any additional tests are required. In today’s fast paced world people often live a sedentary lifestyle, be it in office or at home. Physical activity is a must when it comes to managing your blood glucose level and staying healthy. Being active has many health benefits. Physical activity lowers blood glucose levels and blood pressure and also helps improve blood circulation. Burning extra calories can keep your weight down and also help you sleep better. If you are overweight, combining physical activity with a reduced-calorie intake plan can lead to even more benefits. Even small amounts of physical activity can help. Ideally you should aim for at least 30 minutes of moderate or vigorous physical activity, 5 days a week. Remember weight management in Diabetes is the key to fight it. With a balanced food regime and physical activity you can now keep Diabetes at check. Ensure that you eat right and also eat at the right time. Back it up with some form of physical activities that you can indulge in to maintain a healthy lifestyle. Can Sugar Knocker Help Diabetic in Weight Management? What is Sugar Knocker and How it can Help You? Sugar Knocker is a herbal supplement for Diabetes with the Goodness of Ayurveda, which not only helps to regulate blood glucose but also regenerate pancreatic beta cells with no side effects. In Short, it works for the root cause of diabetes rather than symptoms of diabetes. Sugar Knocker focuses on holistic health improvement along with solving problem of diabetes. It ensures to control your diabetes as well as rejuvenate entire body of the diabetic. Rejuvenation comes through healthy lifestyle, proper diet and of course, the herbal medicines. Let YOUR DIABETES MANAGEMENT Effort Give A FRUITFUL RESULT, Put Your Small Step Towards a Diabetic-Free Life!! !